Sitting within the Minoru Park in the heart of Richmond, the $80 million complex, named the Minoru Centre for Active Living, will be an iconic 110,000 square feet facility located at the southwest corner of the Minoru Civic Precinct. 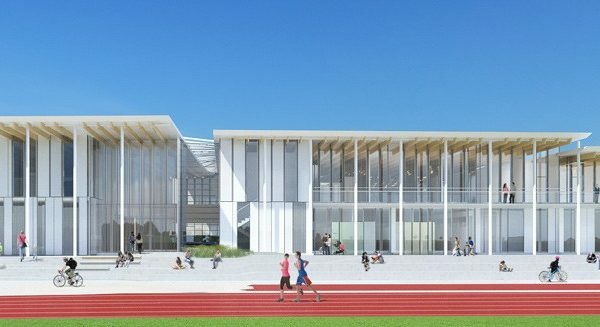 The facility will house aquatic and fitness services, seniors’ services, and amenities to support the surrounding sports fields. It will replace the 57-year-old Minoru Aquatic Centre, Minoru Place Activity Centre and the former Minoru Pavilion. This is Richmond’s most expensive owned and operated facility, and the second-most expensive public infrastructure project in history, after the city spent $118 million on the total $178 million Richmond Olympic Oval. Atlas worked closely with the contractor to design a fall protection system that worked with the intricate roof design and multiple construction details that were used to build the roof on this project.